“Be the rainbow in the storms of life. Thanks everyone for your messages, am lucky to be in one of the dry places but can’t get to work because of flooding. Hope the water clears quickly so rebuilding can begin. Sky Watch Friday is the highlight of my week, photos like this have become my journal and timeline to events or happenings, follow the link to see what 100s of bloggers from all over the world have found in their sky this week. 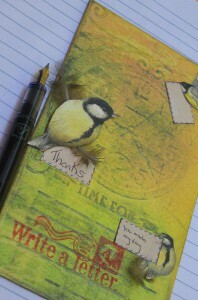 with a link to fun video clip about putting your gratitude in writing. And Sarah’s Beach Cottage for Good Life Wednesdays celebrating the little sprinkles of sunshine that folks find in their day. Thinking of and praying for all you down there. What a terrible situation. Lovely lines Mandy.<br />So strong.<br /><br />Such sad news. Can&#39;t get it out of my head. I hope this finds you safe. Praying for you and your entire area. <br />Sending hugs your way. A lovely quote and a lovely picture! I&#39;m glad to hear that you are okay, I was thinking about you this week seeing all of the pictures of the flooding! A beautiful post, thanks for the positive comment on my blog, much appreciated. Terrific shot. I hope all will be normal soon. Glad to hear you are high enough to be dry. 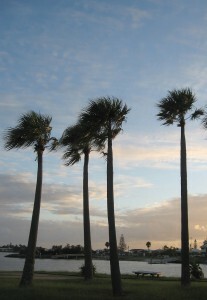 I love the look of palm trees. Glad you are doing ok… I can&#39;t imagine. I love your photo, hope the skies clear very soon. Ah – what a magical sight! We have a big thought for you. Mandy,<br /><br />I hope you&#39;re okay!<br />I&#39;m saddened by this and the many other things that are happening today. Happy to hear too that you are ok! !&lt;<br />Take care. Nice to hear from you. I saw the news on tv my jaw dropped I can&#39;t believed it. I hear the flooding is in Queensland and Brisbane? And there is also part of Australia that has forest fire? I hope everybody is fine and nobody gets hurt. Be safe and keep warm! i am so glad to hear you are okay!!! Great capture.<br />Have a safe weekend. Glad to hear you&#39;re OK Mandy, what chaos is going on down there! I&#39;m thankful my family is safe and sound in W.A., far away from the flooding. Beautiful photo!<br /><br />I just can&#39;t imagine palm trees—especially in January!<br /><br />Please stay dry and safe.